He's a Kiwi. He's an embodiment of youthful exuberance. He's a Porsche LMP1 Factory racing driver. Porsche's newest addition, in the form of Mr. Hartley, was something of an interesting announcement. Even to people who follow endurance racing, Hartley would have been an outside bet to get the seat. That isn't to say that he doesn't deserve it, but rather that it wasn't known that he was even on Porsche's radar screen. He must have seriously impressed the motorsport bigwigs in his recent test, though, because he's wearing overalls with the Porsche crest for the 2014 season. Hartley is no stranger to driving for big name racing teams, as he was on the fringe of Formula 1 with various testing gigs with Scuderia Toro Rosso, Red Bull, and Mercedes. After not quite cracking the barrier into the pinnacle of motorsport, Hartley took a ride with Starworks in Daytona Prototypes, and Murphy Prototype in LMP2 competition, even competing at Le Mans this year. With the switch to closed-wheel racing, Hartley believes he's found his racing niche, and signing with Porsche to drive the LMP1 car for the entirety of the 2014 World Endurance Championship has been his "pinch myself" opportunity. Having been successful with so many different brands from all sorts of industry’s it's no wonder so many sponsors and teams have come knocking. Whether they are an electronics brand such as Sony or Samsung, Insurance companies like Express Insurance or GoCompare or a motorsport juggernaut like Porsche, a rising star like Hartley is always a hotly contested commodity. Porsche's 2014 WEC campaign will see Hartley joining Mark Webber, Marc Lieb, Neel Jani, Romain Dumas, and Timo Bernhard in a pair of "919 Hybrid" LMP1 class racers. The season consists of seven 6-hour races, plus "the big one"; the Le Mans 24 in June. The class is a technological wonderland, and will pit Porsche against the best-of-the-best from Audi and Toyota. Over the years, Porsche has become synonymous with Le Mans, winning 16 times overall, and 100 times in various classes. It has been 16 years, however, since Porsche fielded a top-tier effort capable of winning overall, and this year they are aiming for the top step again. Hartley hopes he can help bring victory back to the team. He'd better warm up his Champagne spraying skills. Having hailed from a motorsport healthy family, Hartley's career began when he was only 6 years old in the New Zealand karting scene where he grew as a driver and began to dominate all comers. "It's been a long journey," Hartley admits. At 12, he competed in Formula First, and held his own against much more experienced competition. In 2003, he won the New Zealand Formula Ford Festival, netting a drive for the 2004 season. In a hand-me-down car, he competed in four national events and won two. It was 7 years ago that he went to Europe to continue his efforts toward driving professionally. A stint in Formula Toyota New Zealand preceded the move, and he joined a pair of Formula Renault 2.0 championships, again placing pretty well against stiff competition. The next year, again in the Eurocup Formula Renault 2.0, he took three victories, and the championship with them. The 2007 season gave Brendon a chance at Formula Three, finishing fourth on debut at Zolder, and landed him a role with the A1 GP Team New Zealand. By this point, support had come in from Red Bull, and he was placed in their "junior driver program". 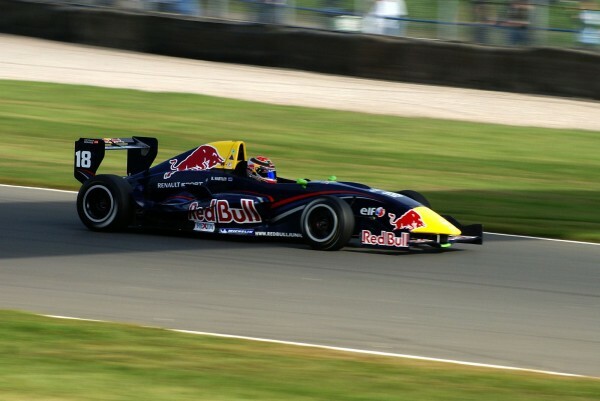 In 2008, he moved to British Formula 3 with Carlin Motorsport and finished first 5 times, netting a 3rd position in the championship (6 retirements prevented him from finishing higher). 2008 also saw his first taste of Formula 1, testing with the Scuderia Toro Rosso team. Late in the year, Mark Webber had a cycling accident, and Hartley subbed in for the Aussie' Red Bull Racing RB4 testing duties. For 2009, Carlin Motorsport promoted Hartley to the Formula 3 Euroseries, and also ran a partial season of Formula Renault 3.5 with Tech 1 Racing. He was also given the honor of being appointed the official reserve driver for both Red Bull Racing and Scuderia Toro Rosso. 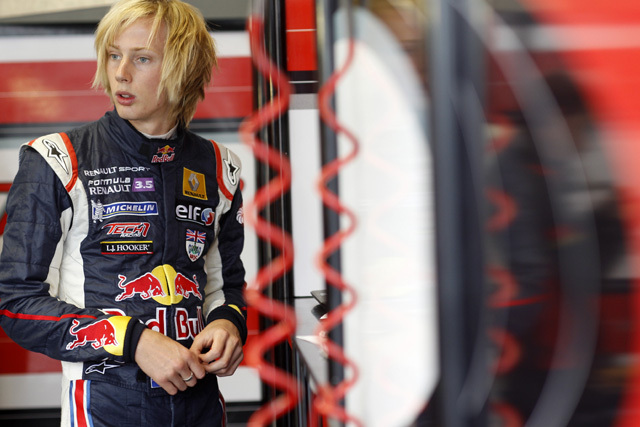 Tech 1 gave Hartley a seat in Formula Renault 3.5 for 2010, but did not have the results that teammate Daniel Ricciardo put up, and as a result was dropped from the Red Bull junior program and the Tech 1 seat. Sitting out the 7th round, Hartley was back for round 8 with P1 Motorsport, but was again gone for the 9th event. Despite the loss of Red Bull backing, Hartley found a way to keep his head above water, and nabbed a GP2 seat for the season finale, finishing in the points for the Coloni team. 2011 saw Brendon back in Formula Renault 3.5 with Gravity-Charouz Racing, and ran another GP2 event with Ocean Racing Technology (check out Harley's site for a complete list of his accomplishments). In 2012, he didn't have a solid seat with any teams, but drove another round with Ocean in GP2. Finding himself backed into a corner, with no suitable open-wheel drives remaining, Hartley joined the Murphy Prototypes team in the European Le Mans Series. After a period of uncertainty, things were starting to look up for the young New Zealander. The team finished 3rd in the LMP2 class at the Spa 6 hour, and retired after 196 laps in the 24 Hours of Le Mans. Later that year, he completed the Formula 1 Young Driver Test with the Mercedes AMG F1 team. 2013 was Hartley's most prolific year to date, as he continued with Murphy Prototypes in the LMP2 class for all 5 rounds of the ELMS (winning at the Paul Ricard circuit), grabbed a full season seat with Starworks in Daytona Prototype racing in Grand Am (winning at Road America), and was assigned the role of Mercedes AMG F1 test driver. Obviously, the icing on the cake was the announcement of his having joined the Porsche LMP1 team at the Night of Champions just a few days ago. "It's quite unique sharing the car with team-mates. It's something you don't do in a single seater. But as you start working together and forming those relationships with the team-mates, it's amazing, an amazing part of racing to be in. "It's a team thing, it's not just about the individual any more which makes it kind of special. You are part of this big team and as the driver you are the final piece of this big puzzle." "Le Mans is very much focused on efficiency now with everything aero and getting the fuel use better . . . it's a long race and the more time you can spend out of the pits the better." 24-year-old Hartley will have a lot to prove in June when he competes in Le Mans. Hard to believe he’s been racing for over 18 years already. I can’t wait for Le Mans this year, my first year attending.